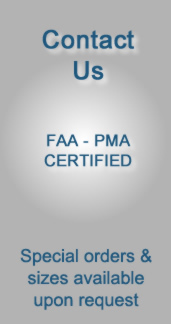 Aero-Cables Corp. has been serving the aircraft community for over 30 years. Our unique pre-formed stainless steel aircraft cable is covered with silicon rubber seal that is easy to clean, will not crack due to wear or climate changes, does not separate from the cable and remains pliable for easy opening or closing of aircraft cabin doors. 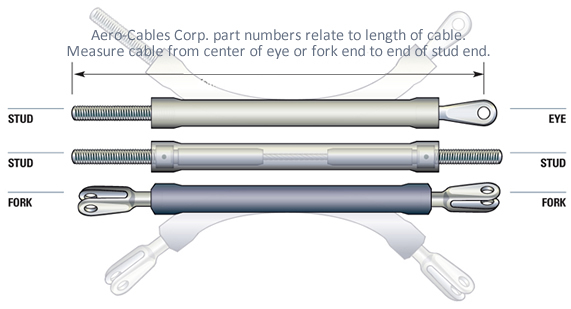 Aero-Cables Corp. part numbers relate to length of cable. Measure cable from center of eye or fork end to end of stud end.